The iPad has transformed the sailing life. Where once before we carried weighty reference books, charts and called loved ones from the next port, nowadays phone, charts, books and satellite imagery is at our fingertips. Although we carry hard copy pilots for most places we visit, we no longer carry paper charts, as the volume of charts for our journey would fill our yacht. Most paper charts are outdated and electronic versions can be easily updated. We have a Raymarine a128 MFD (chart plotter and radar) plus CMap charts and OpenCPN as backups. The iPad apps however are particularly user friendly, more cost effective and so far we have no reason to question the accuracy of most of the data. Weather is probably the biggest consideration in sailing – there’s plenty of apps available for weather, but only a few that are suitable for marine. We generally use a number of tools (apps, grib files, Internet, local information, blogs, our eyes) to decide on the best course of action. The following apps we use mostly and we always verify any data where possible. iMaps – a great app useful for clear Google images when underway. 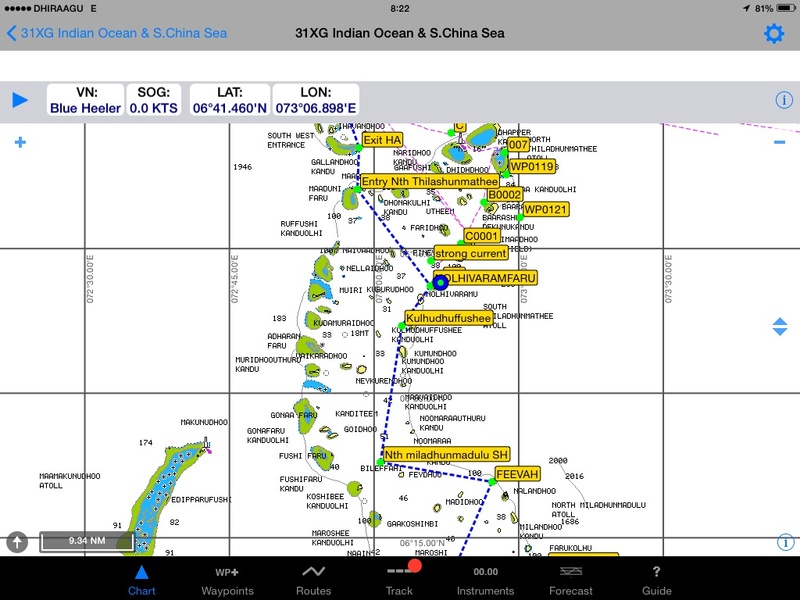 iNavx – a simple marine navigation app. Uses Navionics and NOAA charts. SeaIQ – easy to use marine navigation app – easy to view ActiveCaptain and Google Earth. Google Earth – everyone uses this! Alternative is iMaps below.